Tanda’s wage calculator is built to identify labour compliance issues in your schedules, breaks and timesheets to give you more oversight and reduce your labour cost instantly. Tanda’s Labour Compliance tools gives you effortless compliance by identifying breaches in labour laws before they occur and notifying managers to be rectified. 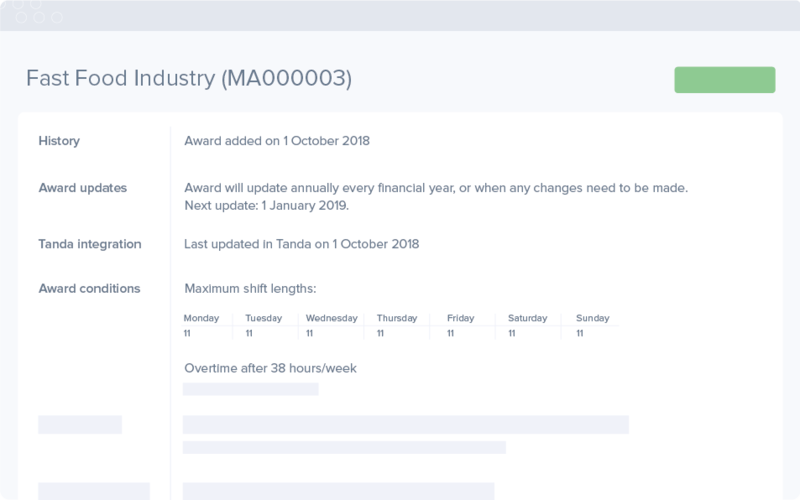 Set up custom break rules for different categories of staff and Tanda will ensure that timesheets comply with local laws specific to your business. Local legislation often dictates minimum breaks between scheduled shifts. Tanda identifies shifts that have been scheduled too close together and flags them before they are published. 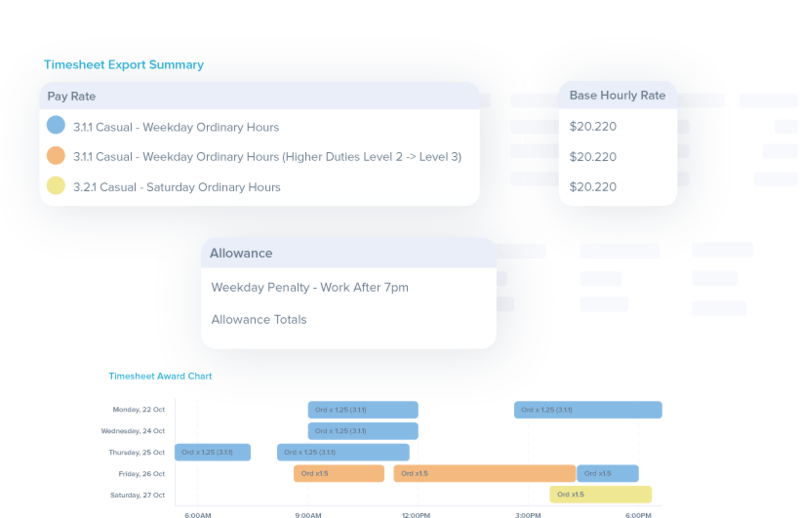 Tanda simplifies overtime management by notifying managers when staff enter overtime so that you can easily eliminate unnecessary penalty rates. 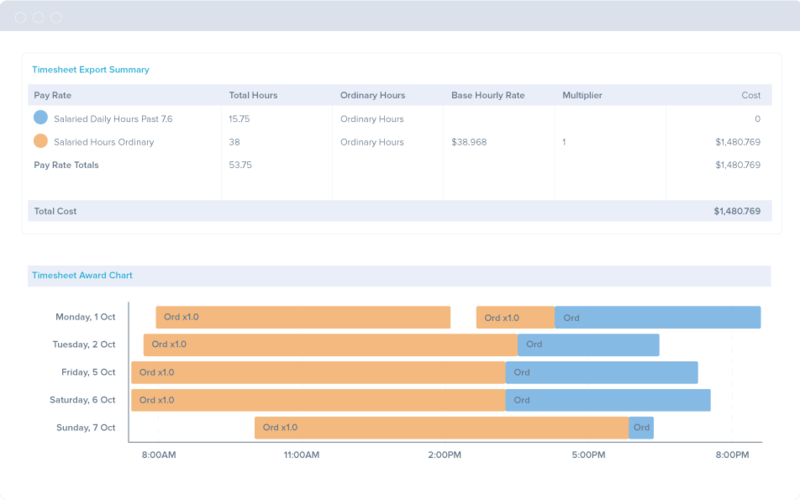 Tanda’s wage calculator uses your local labour laws to determine precise shift costs based on times that employees clock in and out with the employee time clock. 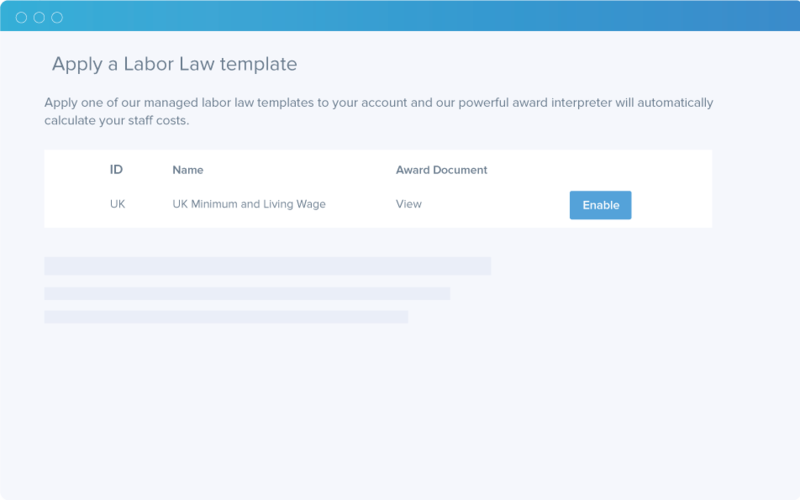 Timesheets are costed in accordance to local wage laws and prepared to be exported to your payroll system in a single click. Get up and running in seconds. Tanda will automatically create and maintain the relevant pay items and hourly rates to ensure staff are always paid accurately. Tanda’s pay calculator automatically responds to regulatory changes so you can be sure you’re always covered. Tanda has your back when labour laws require historical staff rotas. All past rota’s, as well as any changes and a record or who made that change are logged and never deleted to ensure you have the documentation you need to remain compliant. See clock ins live from any device and never worry about accurate staff timesheets again. Seamless payroll integrations to make paying staff simple. See a full list of our available integrations.